Card no 5 for the CASometry Challenge! Finally, a few days ago the Secret Final stage for the CASometry Challenge held by Anna was revealed, and it was time to get to work on the last card! The main rules are very simple and very clever, make five cards using one stamp set! 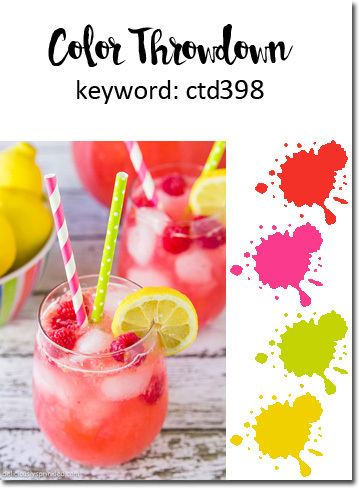 And the additional task for this final stage is — CASEing, (copying and selectively editing), to CASE any card from Anna´s special CASometry Challenge Pinterest board. Here is my final card! For my set of cards I have been using the clear stamp set "Wonderful", by Penny Black. I have colored the background using Distress inks by Ranger and the image is colored with Copic markers. To get a shiny balloon I applied a coat of Glossy accents to it! And here is my entire five card collection ! I really like the color combination for this week´s Color Throwdown challenge! 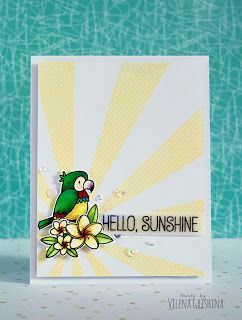 And of course I wanted to use one of my favorite stamps for this happy card! "Suzette", by Moonlight Whisper and Kraftin´Kimmie Stamps! She always makes me smile! For coloring the back ground I have used Distress inks by Ranger and for coloring the image Copic Markers. This image always allows for strong, vivid colors, and lots and lots of glitter on the dress! Practicing skin & hair combo´s! I´ve been practicing coloring with my Copic markers. I stamped this lovely Uptown girl "Jayden loves to journal" , from Stampingbella, (just her head though!) multiple times, as many as could fit onto a sheet of paper, as it is perfect for practice coloring hair and skin combinations. The coloring charts are made by Elaine Hughes, (@markergeek) and can be found on the Stampingbella blog/Markergeek Monday. Lots of really great coloring tutorials other than skin and hair can be found there too! In the photo down below you can see the images from the actual tutorials, I cut them out and put them in 2x2 pockets in the 4x4 photo sleeves by We R Memory Keepers, right beside the images I have made my own hand chart using the actual marker and the color reference numbers! It makes it really easy for me to find the different combinations and the markers needed really fast! I keep them on my desk for quick and easy access! Card no 4 for the CASometry Challenge! Here is my fourth card for the CASometry Challenge hosted by Anna Kossakovskaya. The rules are very simple and very clever, make five cards using one stamp set! For my set of cards I am using the clear stamp set "Wonderful", by Penny Black. Tiny dots of glitter glue on some of the flowers, to make it sparkle! Images (and the grass) are colored with Copic markers. This five stage challenge is almost over! Next stage will be the "Special Secret Final Stage" and I can´t wait to see what Anna has in store for us! Card no 3 for the CASometry Challenge! Here is my third card for the CASometry Challenge hosted by Anna Kossakovskaya. The rules are simple, make five cards using one stamp set! For my set of cards I am using the clear stamp set "Wonderful", by Penny Black. The hedgehogs and the gift box are colored using Copic markers and the grass and the sky are colored with Distress Inks by Ranger.